The MAHB’s collections began to be assembled over two hundred years ago. The town of Bayeux started acquiring works of art during the Revolution, with the support of major collectors anxious to conserve a heritage that they were eager to share. Conserving the region’s heritage continued throughout the 19th century thanks to the influence of the archaeologist Arcisse de Caumont, one of the greatest scholars of his time and a native of Bayeux. From 1842 onwards, the town’s collections were brought together and displayed in the Matilda Gallery as a curiosity cabinet. The Bayeux Tapestry was also put on display to the public in a glass showcase. In 1899, Baron Henri-Alexandre Gérard’s donation brought the collections into the modern age with the creation of a real, independent museum which has continued to enrich and develop its collections ever since. Henri-Alexandre Gérard was the nephew of the neoclassical painter François Gérard and wrote several abundantly illustrated books about him. In 1899 he donated 37 of his paintings to the town of Bayeux on the condition that a real art museum be established, independent of the municipal library’s collections. 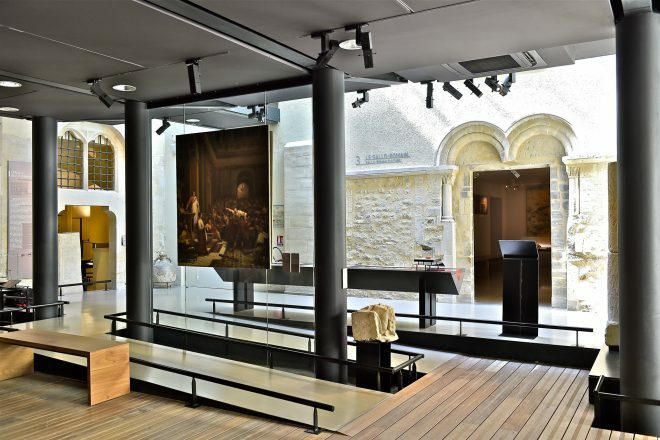 Some of the collections which had been on display in the Matilda Gallery were therefore moved to a new museum installed from 1901 in part of the former Bayeux bishops’ palace, which had served as the Town Hall since the Revolution. The Gérard donation, mainly of 19th century paintings, joined the 16th, 17th and 18th century works from the Cuiret collection, Augustin Lamare-Picquot’s natural history and ethnographic collection and works of art and archaeological artefacts bequeathed by Louis-François Doucet , among others. The Lefébure and Morlent families further enriched the museum with Bayeux lace and porcelain in the 20th and 21st centuries. The former museum had to be closed on 31 December 2001 as it no longer complied with safety standards for buildings open to the public. After 10 years of studies and 4 years of building work, the Baron Gérard Museum became the MAHB, the Baron Gérard Museum of Art and History. It opened on 23 March 2013, under the patronage of the Ministry of Culture. Located in the historic heart of Bayeux, adjoining the cathedral, the MAHB has a floor area of 2,500m² and incorporates some of the most prestigious parts of the episcopal palace dating from the 11th to 16th centuries. During the rehabilitation of the building itself, the architects made an unexpected discovery. Hidden within a former bakery, the remains of the arched windows of the palace’s Gothic chapel, whose existence was unknown to the public at the time, were uncovered. These architectural elements were immediately integrated into the original layout design. 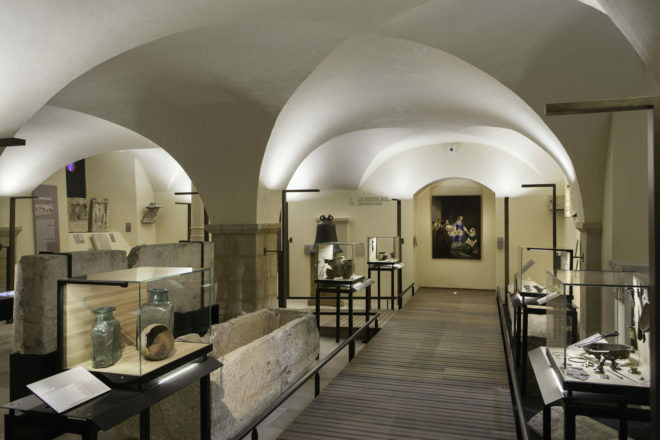 As a result, visitors are aware that they are in an exceptional historic setting as soon as they enter the museum.